So true...I think sometimes children DO understand much more than one gives them credit for! Strong writing here. I believe so too Mary. Thanks for visiting! a scenario that plays out all over the world and too often. Such truth here, Aditi. Children do see things...do understand things intuitively. This was so sad and so beautiful. I would love to hear the mother's response to this epistle. 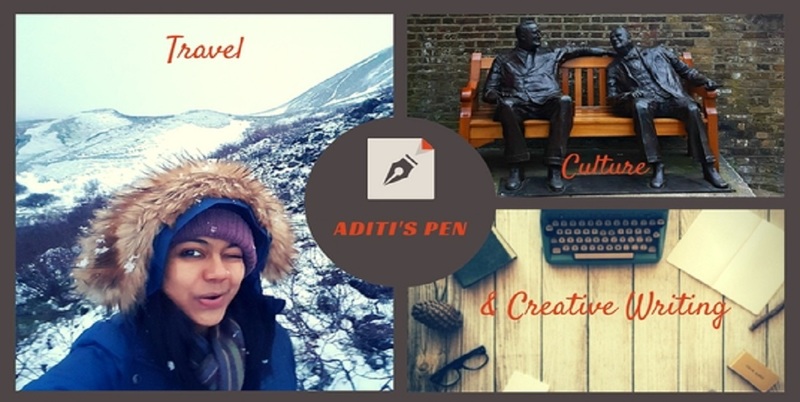 Lovely take, Aditi! Children are very perceptive and have quite a distinct way of looking at the relationship of their parents...or anything that affects them around them. Its a beautiful letter in the form of a poem. Nice one! I know what you're saying Richa...it is very imp how a child is brought up, in what kind of environment... It really does effect them growing up! An interesting post that I enjoyed reading. Good poem. Well said.. I agree.. never underestimate the understanding of a child. Nicely done. Yes the understanding of children who see with their hearts as well as their eyes….A sad story here and I hope she did break free! I wish so too Peggy...so many women don't...this is a plea! Beautiful! Children live with these impressions made at a young age. To be courageous n break free is an invaluable one. A new form of poetry learnt. And, true that a child can see the invisible and uncomfortable truths in the parents'. Sometimes they don't understand what it is but they never fail to discern. But this is not true for every child, i reckon. What say, A? P. S. Thanks for stopping by my posts, it means a lot to me. Forgive me if I don't stop by more often. I will try my best to, dear Aditi. Much love. Susan every child understands...however true that each may his/her own way of dealing with the negative/uncomfortable environment. They may either become broken from inside and loose faith in love, or they may create a fantasy world of their own to run/hide away from the pain, or they may become strong and mature from a young age....either way they get effected in an unnatural way and loose most of their childhood... Hence a plea to any woman out there who is not happy in their marriage... Breakfree! P.s. thanks for visiting dear...always treasure your comments! Loved this piece, the ideas and the expression; beautiful! Hmm. The thoughts of a child. Innocence does take a hit when such things happen near to them. And that either leads to pain or maturity. I think this is the latter, thankfully. Good poem. This made me sad!! Oh yes, children are very perceptive, they understand everything. Children do see in their own unique way what happens around them, and they perception is not easily deceived. So true Kenia...thanks for the visit! That is a new form of poetry I learnt about today. You have used it brilliantly with the prompt Aditi. Such emotions, such feelings. The child's helplessness is so visible. Children of such marriages live with such scars all their life. At least for their sake , mothers should break free! A lovely message. That was beautiful Aditi.. Gave me goosebumps. And you're so right.. children do pick up much more than what we credit them for. I'm always in awe of poets! Yes, children are extremely perceptive much more than we can imagine. Loved the verses. Very poignant! Thank u Vishal for this lovely comment! Thanks Loredana...your words mean a lot!